Facebook gaming is about to get a little brutal with this recent title created by developer and publisher group “nWay”. 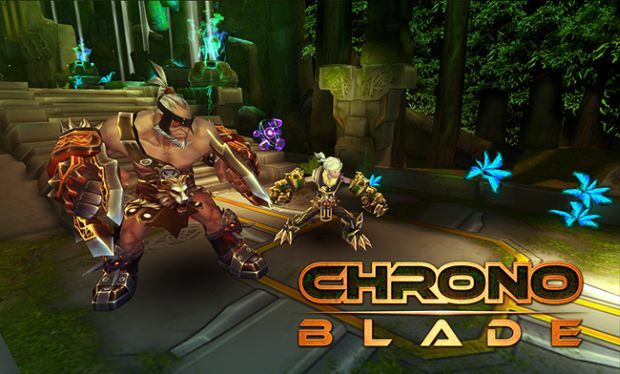 ChronoBlade is a 2.5D multiplayer online beat ‘em up that features fast-paced, arcade style action, mixed with multiplayer co-op mayhem, all made possible through the power of Adobe Flash 3D. Now multiplayer beat ‘em ups are very rare in this day and age, and even rarer are the ones that can be played online. With the recent departure of Nexon’s Dungeon Fighter Online for North America, the itch of combo heavy combat started to linger on me. With a quick glance at what ChronoBlade had to offer, I was hoping it could scratch that itch. For starters: There is no initial character creation or customization. 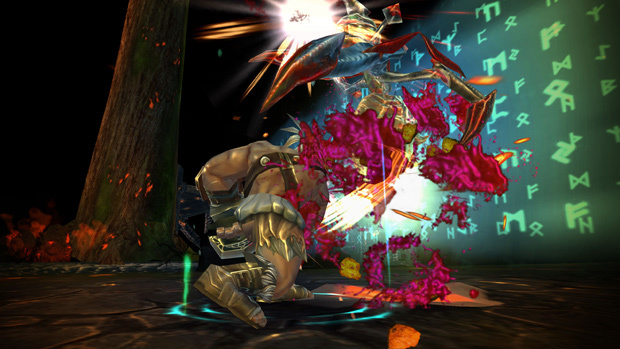 Instead, players will be forced to play as Aurok, a burly warrior who lets his fists do most of the talking. As with most Facebook games, your registered name on Facebook will be used as your player name. Once you get into it, the stat customization is pretty standard of what you would expect from an RPG: The outfits and weapons that your character wears determines your character’s combat power, armor, health and energy levels. The downside on customization is that if there’s an outfit that you really like for its looks, you won’t be able to use in the later levels, unless you decide to upgrade your outfits and weapons using the game’s crafting system. This system is simple to use, as most of the materials players will need are found from monster drops and treasure chests. However, for the few material pieces that can’t be found from missions, players will have to bug their Facebook friends in order to obtain them. Not only that, but once players have gathered all the needed materials, the crafting process can only be initiated by using crystals, and these can only be obtained using real money. It’s kind of a cheap way of getting players to advertise and bug others to try out the game, but fortunately enough, crafting isn’t mandatory as equipment drops are rather frequent. There’s also a skill system that allows players to mix and match different active and passive skills between two different class types, but the options players have here aren’t exactly varied. 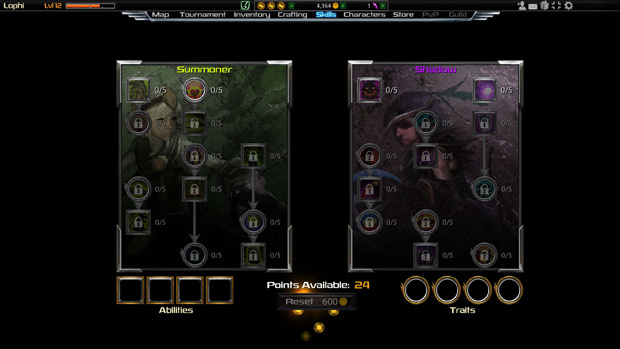 You can unlock new skills from using points that are earned from each level up, but there are no skill trees and/or branching skill paths to choose from, so in the end your character’s skill build will be straight forward and simple. It’s also more effective to focus on one class type rather than dual-spec’ing, which doesn’t leave much room for experimentation during the early levels. 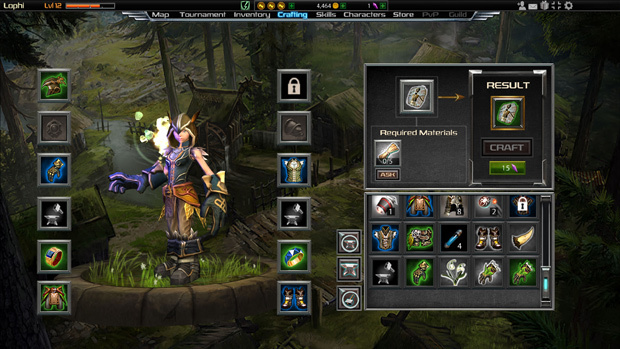 The game uses a basic control scheme: Arrow keys for movement, A key to block, S key for heavy attacks, D key for light attacks, QWER for skills and 1234 for items. The controls are quick and responsive, allowing players to attack and dodge almost effortlessly during combo attacks and guards. 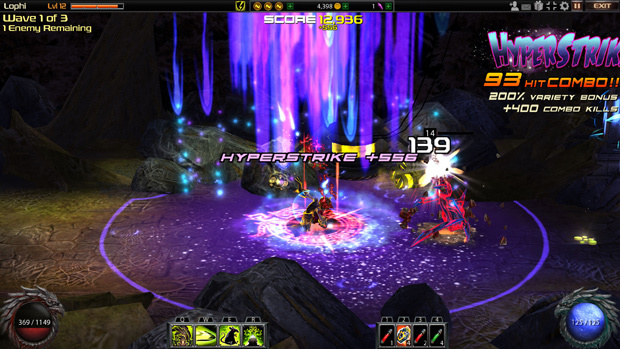 Players can also dash and sidestep as a way to close the gap on enemies or recover from knockbacks. There’s also support for gamepads, as well, which also has great responsiveness. Button layouts are mapped comfortably. 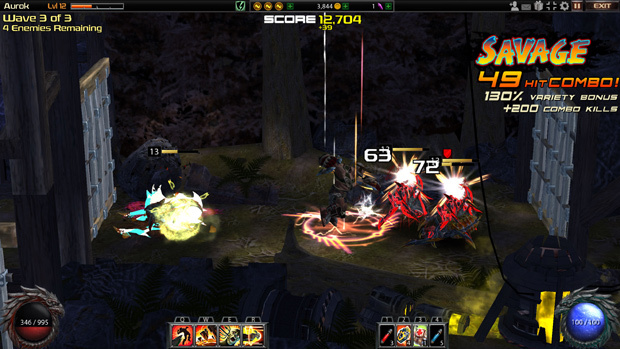 While the customization does not leave much room for experimentation, the game’s combat system has a lot of it. As players progress through and earn levels, they’ll gain several new combo attacks to pull off. With moves such as gap closers, guard breakers, knockbacks, pulls, projectiles and juggle launchers, there’s a lot that players will have to work with, which is important because the game prides itself in its combo system. In order to get big scores which will improve the rarity of the loot at the end of a mission, players will have to achieve long combos while guarding and dodging an onslaught of enemy attacks. Not only that, but they’ll also have to mix up their combos frequently in order to increase their score multiplier before finishing up their combo with a powerful attack called a HyperStrike. Despite a fair amount of player skill being needed to complete missions, skill can only get players so far when stats are involved, so there may be times where you’ll have re-visit old dungeons in order to grind up a few levels or search for some better equipment before moving on, otherwise you’ll find yourself taking too much damage, dying from simple mistakes and end up having to pay heavy gold or crystal fees in order to revive in battle. Despite this, ChronoBlade does a fairly good job of presenting challenges for players without coming too far off as cheap or unfair, as most of the enemies that players will face have predictable attack patterns that can be blocked and dodged with care. Some of the attacks that can’t be blocked are telegraphed by a red glow, and most enemies will try to crowd around you so you’ll always be on the move. There are some binding challenges such as restricting the player’s movement to an actual 2D space, so players won’t be able to sidestep, or other elements such as adding hazards around the environment. Speaking of environments: there isn’t much room for exploration here, sadly. The game presents a clear path for players to follow, so your main objective is to head from room to room, defeat enemies in said room, and keep on moving until they’ve reached the last boss. Occasionally, there will be a few tiny paths that lead to some extra loot, but these are few and far between. So with all this and more, where does the multiplayer come in? Well the only kind of multiplayer available is co-op missions and weekly tournaments with leaderboards. Weekly tournaments can be attempted at any level and players challenge each other to compete for the highest score. Top three players for each week will earn unique and rare equipment, most of which can’t be crafted, looted or bought, so it’s a worthwhile challenge for everyone. Co-op missions, on the other hand, are very limited to challenges such as defeating as many monsters as possible within a time limit. The developers at nWay missed a golden opportunity here that could allow players to play through the game’s story missions together, since despite only being able to unlock a second character after playing with Aurok for a while, Lophi has to start her leveling experience the same way that Aurok does, and the storylines are practically the same. 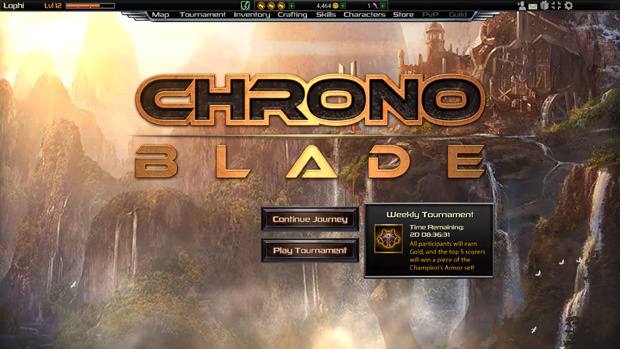 For a game that was created using Adobe Flash, ChronoBlade looks good enough to be a console-style title, or at least a DLC game on Xbox Live or PSN. While the polygon counts are low and the textures are somewhat unsightly at times, the game looks excellent in motion. Animations for attacks are smooth and give a distinct feeling of impact with each hit, not to mention that the final hit on certain enemies always end with a gory shot of your character bashing out their guts, leaving lots of bloody goodness on your screen. Chronoblade’s theme of Norse-style mythology mixed with some medieval fantasy and just a tad bit of steampunk works out great, especially with the dramatic, but mystical sounding rock music. While this can be seen as both a pro and a con, the community of ChronoBlade is only what you make of it. There are no towns or lobbies for players to meet up, and no guild features are available at the moment. There’s only you and your Facebook friends to rely on for co-op action. While this will certainly prove to be a more enjoyable experience over playing with random people, those that do want the option will be out of luck. ChronoBlade succeeds well at bringing arcade style beat ‘em up action to Facebook, with combo heavy gameplay that is as challenging as it is satisfying. While the game is still fairly underdeveloped in its current state, and its methods of getting people to play and pay may be seen as a bit cheesy, the promise of more community features and PvP in the future can only mean good things for this entertaining time waster. 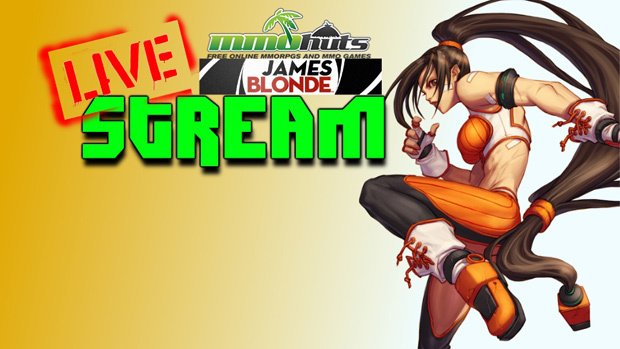 Weekly MMOHuts Stream (5/23) – Brawler Day with DFO and Grand Chase! Shotgun News 12/10: EVE, Glitch, Age of Wushu, and More!